Educational studies point out that attention spans are decreasing over time so it is important that the message be able to be processed with minimal effort in order to resonate with the audience. This is one of the reason’s the whiteboard animation style was chosen for the videos series. Known for being simplistic, this time lapse-style allows the narrator to walk the viewer through a story in a manner that creates interest as the visuals are being developed in front of them. This style is also known as dry erase board animation or explainer videos. 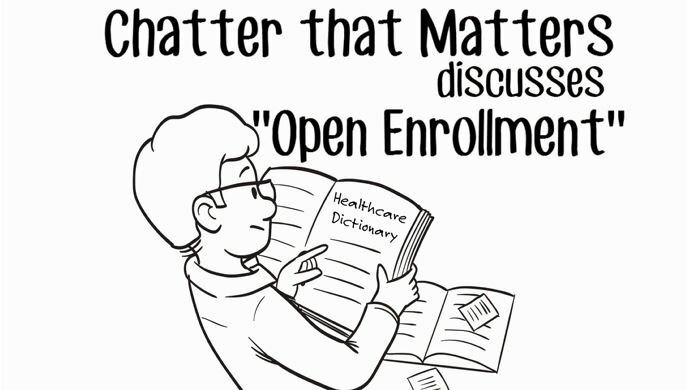 Developing the series title of “Chatter that Matters”, PAF created custom scripts on topics connected to the full scoop of a consumer’s engagement with insurance, beginning with open enrollment. In each video of the videos, vocabulary words are highlighted and reinforced to build understanding. As a complementary item to the videos, a corresponding theme of audio PSA (public service announcements) called “Words that Matter” allows us to individually feature vocabulary terms for those who have access to audio players.